Apple isn't done with its Maps service yet and has been making efforts to improve it with a series of take overs in the last few years. Is Apple eyeing to further tap the location based services? Will it take over Nokia Here? Apple has taken over Coherent Navigation, a company known to be specialized in delivering accurate GPS. The move is considered to help Apple improve accuracy of its Maps service, which couldn't be as successful as Google's Maps. 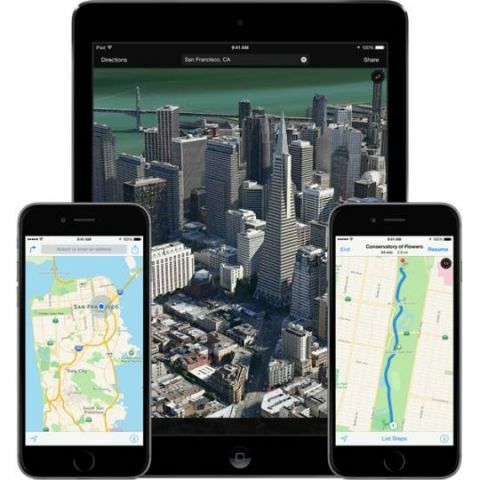 Back in 2012, Apple Maps was listed as one of the Top 10 technology 'fails' of 2012 by CNN. It's surprising to see Apple playing a catch up game as it is viewed as one of the key names for innovative products and services. But, why Apple is so persistent on its Maps services. One of the reasons is the growing market of location based services. Google and Facebook make huge money from the customised and localised advertisements/services. Recently, there have been rumors that Facebook is planning to take over Nokia Here, digital mapping service of Nokia. A lot of other companies are reportedly in fray such as Uber, a consortium of German premium car brands and Asian companies such as Samsung and Alibaba. Apple should be a potential buyer as well. Another possibility could be Apple's plans to launch electric car that is supposed to give Tesla a run for its money. According to a few media reports earlier this year, several hundred employees of Apple are working on Apple's car project, internally known as Titan and conveniently rumored as the iCar. High precision Maps service could be a key feature of Apple's electric car. Read our previous coverage on Apple's iCar here.